Isaiah is a Senior at Scott High School, and is a Beta Club member, football player, soccer player, band member, and outstanding scholar. He does volunteer work with AYSO and other organizations, and has recently decided to join the 134th TN Air National Guard. He plans on pursuing a degree in Wildlife Biology and becoming a Park Service employee. 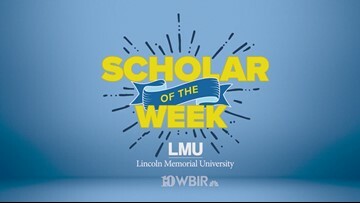 Lincoln Memorial University and WBIR want to celebrate his accomplishments and contributions to this community.